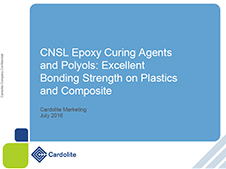 Cardolite® LITE 2402 is a low viscosity solvent free phenalkamine Epoxy curing agent with extended pot life. It offers Tg greater than 125°C after post cure. It offers very good chemical resistance, high Tg, good thermal stability and provides excellent adhesion on metals and composites. 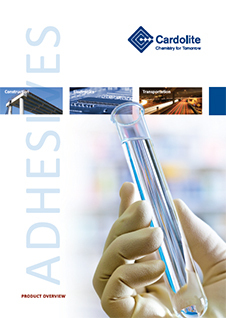 Cardolite® LITE 2402 is recommended for 2k epoxy adhesives in industrial applications.